The features of circadian dynamics of mean values of systolic and minute blood volumes of young people before and after the exercise stress have been recorded and analyzed. It is indicated that sizes of systolic and minute blood volumes after exercise stress increased with statistical significance of p≤0.05. Thus, the characteristics of systolic volume of human blood vary from 70.3±4.3 mL to 77.2±6.6 mL before exercise stress, and 92.6±8.8 mL up to 99.1 ±8.9 mL after the exercise stress. While for the minute volume, they vary from 5.00 ±0.50 L to 6.10 ±0.53 L and from 9.79 ±3.04 L to 11.19 ±2.53 L, correspondingly. The values of systolic volume of blood entropy before exercise stress are equal to 0.6208 and after exercise stress to 0.6438 and the value of minute volume of blood before exercise stress is equal to 0.6208 and after load is equal to 0.6438. The entropy characteristics of circadian dynamics with systolic and minute volumes of blood after the exercise stress has a tendency to increase. Despite numerous works on the study of percussive and minute cardiac output, there is yet no complete clarity about their relationship after the dosed physical exercises in the daily regime and nothing is known about their entropic parameters. Current work expounds the data on experimental material and the mathematical analysis on revealing the daily dynamics of systolic and minute volume of human blood before and after exercise stress and calculation of their entropic parameters. TULEUKHANOV, S. T. et al. Entropic index of diurnal dynamics of systolic and minute volumes of human blood before and after exercise stress. International Journal of Biology and Chemistry, [S.l. ], v. 11, n. 1, p. 106-111, aug. 2018. ISSN 2409-370X. Available at: <http://ijbch.kaznu.kz/index.php/kaznu/article/view/319>. Date accessed: 24 apr. 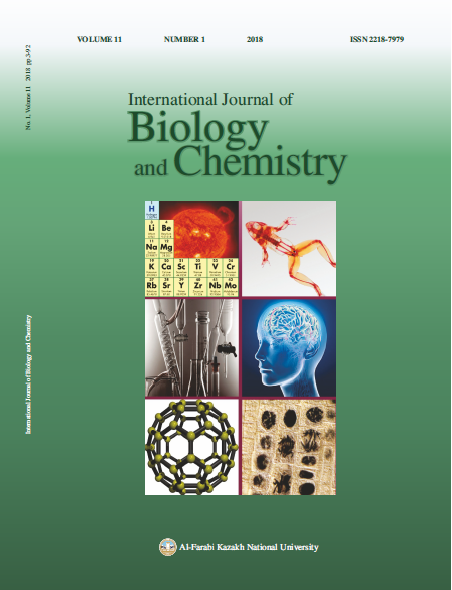 2019. doi: https://doi.org/10.26577/ijbch-2018-1-319.